From the botanical gardens to the nature’s lush landscapes, the human eye is attracted to beauty. The world around us is filled with charming scenery both natural and manmade. In a fast paced, high pressure society, there is something simply magical about the pure beauty found in nature. However, it is possible to find that beauty in your own yard with landscaping. It may only take a few simple yet elegant flowers. 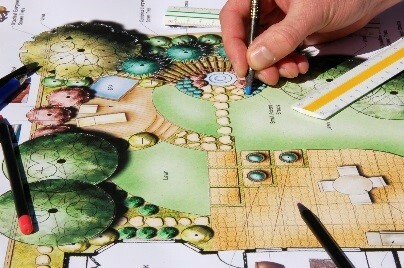 Maybe you require an extensive garden sprinkled with trees and defined by stone walkways. Whatever your taste may be, your backyard can be a retreat all your own. There is much that goes into a beautiful landscape:the designing, construction, and maintenance are all important elements. If you decide to take on a landscaping project, consider the following tips and always remember to have fun and keep the big picture in mind. Don’t be afraid to include things you want: BBQ area, child’s play place, etc. Don’t be afraid to snap a few pictures as you go. It will be a remarkable comparison before long. Be patient with your landscaping project. A fancy TV transformation show can do an entire renovation or landscaping construction process in a few days, but they feature 50 or more trained professionals. It will take time and a lot of hard work to complete a project. It may be helpful to break down your plan into smaller projects. Psychologically, it is easier to continue if you celebrate your progress by completing smaller tasks. Realistically, it is extremely hard to do a major landscaping project by yourself. From drawing designs to dealing with boulders, the many variables of designing and construction beautiful landscapes is often a job best suited for a qualified professional. While it might cost more, it will save you from some back breaking labor. It’s important to be on the same page as your contractor and designer. Don’t be afraid to provide your own ideas, while considering your designer’s ideas. This is the best way to get a mix of your own unique tastes with a professional touch for a beautiful and realistic outcome. If you are interested in a complimentary consultation or have any questions, please contact the professionals at Greener Horizon in Marlboro, MA. We provide expert landscape design, budgeting, stone work, plant instillation, irrigation, and many other services to transform your yard into a beautiful retreat and to increase you home’s curb appeal.